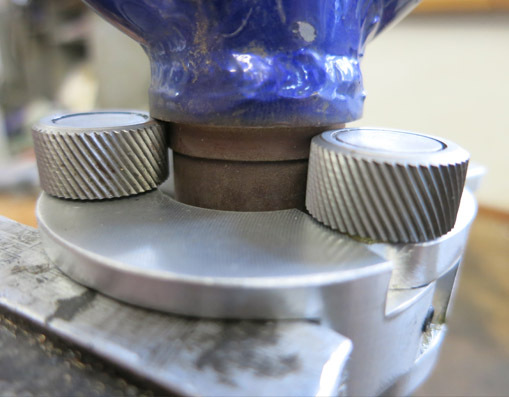 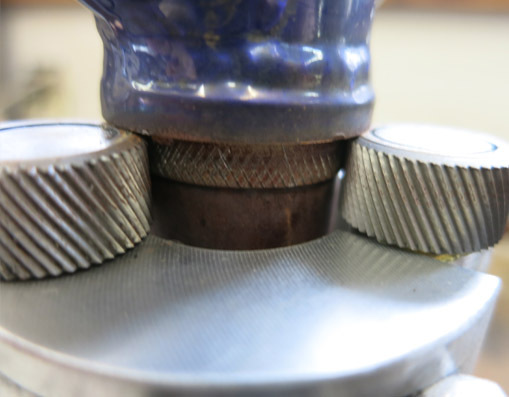 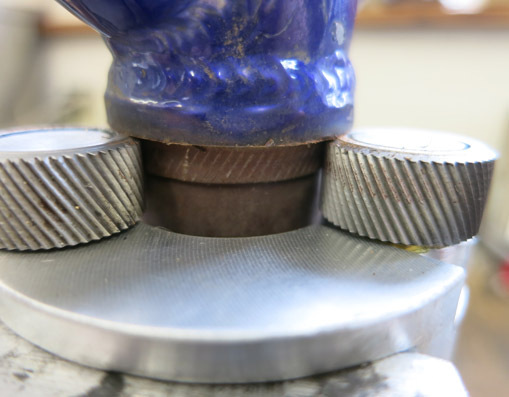 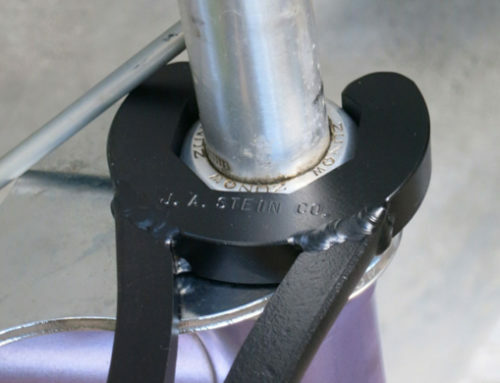 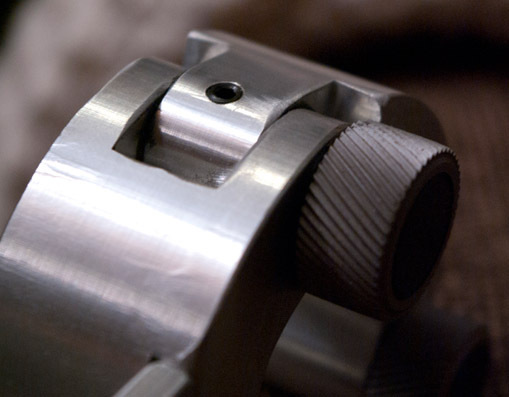 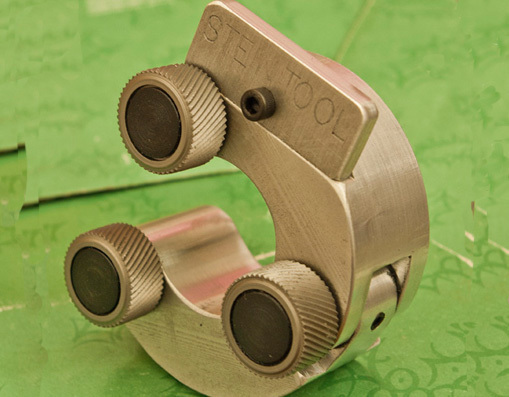 The Stein Knurling Tool is designed to increase the effective diameter of cylindrical surfaces to restore a press fit to bearings, as in the case of fork crown seating areas of forks. 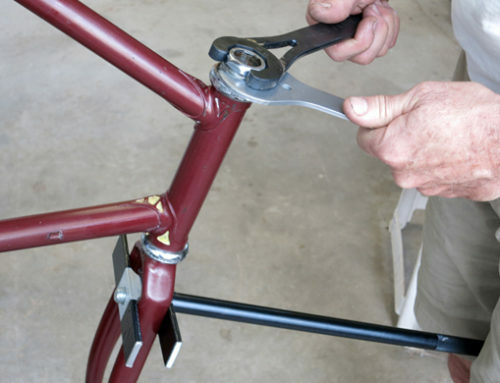 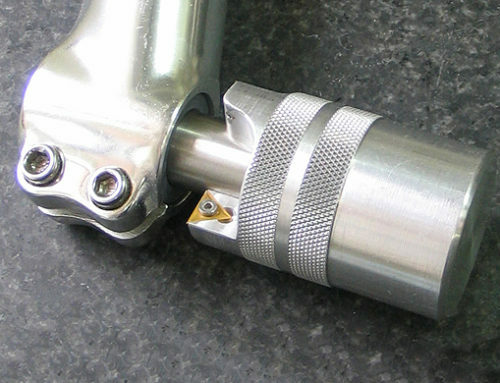 It can also be used to increase the grip of seat posts, handlebars (in the stem clamping area) and bar ends. 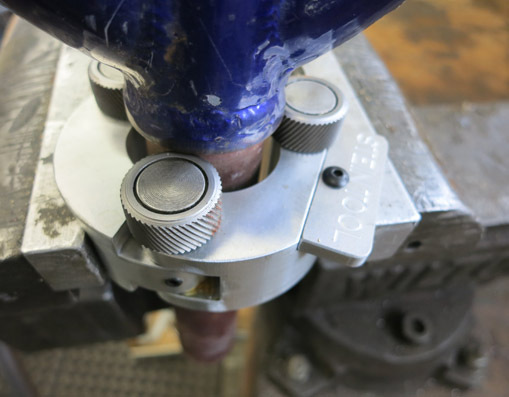 The tool is installed into a bench vise and the part is rotated while the vise is closed sequentially until the correct diameter is produced. 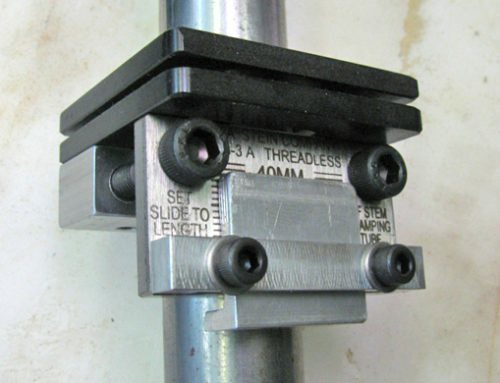 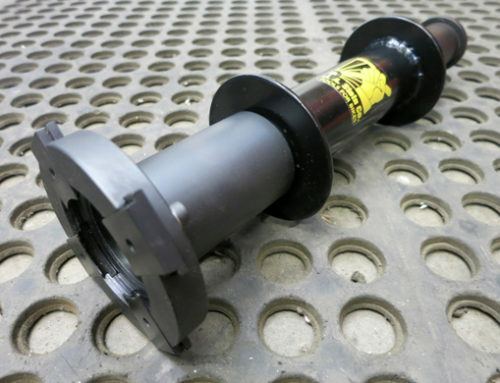 It works on diameters from 7/8″ to 1.5″. 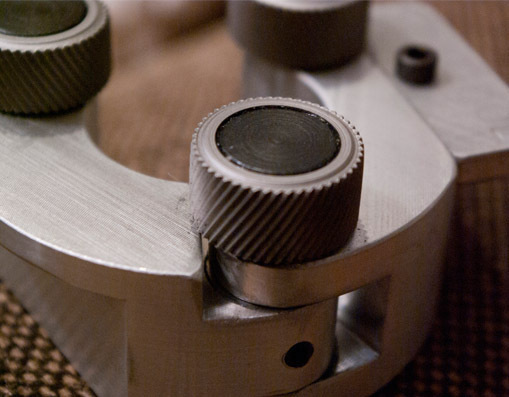 Rollers are available to produce straight indentations or cross hatched patterns.